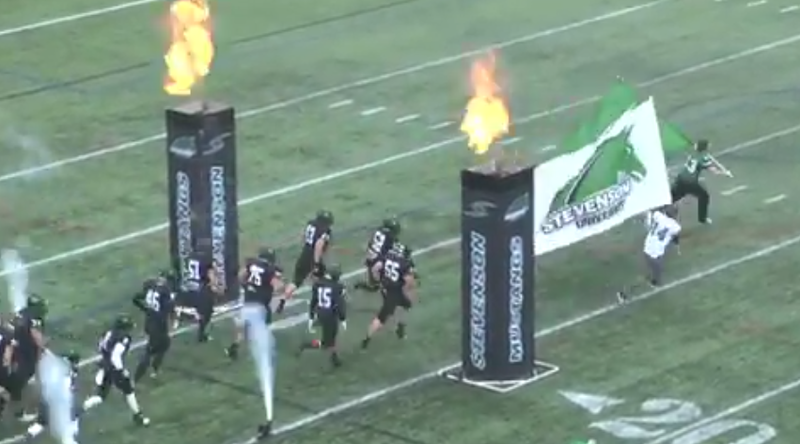 The Stevenson football team played in it's first ever post-season game as they faced Bethany (W.V.) in the ECAC Southeast Bowl. The Mustangs played well on both sides of the ball defeating the Bison 29-7 in front of a home crowd at Mustang Stadium in Owings Mills, Md.